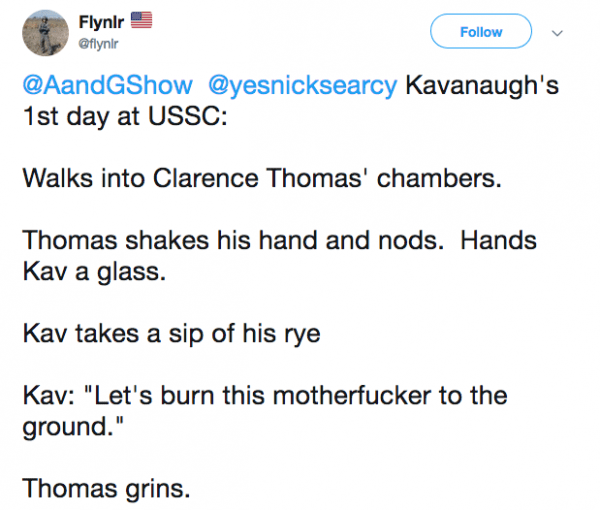 « KAVANAUGH LOOKS GOOD: Reports: Manchin, Collins, Murkowski, Donnelly will support…. Had he received a normal confirmation, I suspect Kavanaugh would have been a bit of an establishment squish. I rather doubt that he’ll be that now.